Hamilton Gardens is proud to be a Qualmark Gold Sustainable Tourism Business Award holder. This means we have been recognised as a sustainable tourism business, that delivers exceptional customer experiences an integral part of everything they do. To achieve this we met stringent quality standards and environmental criteria. 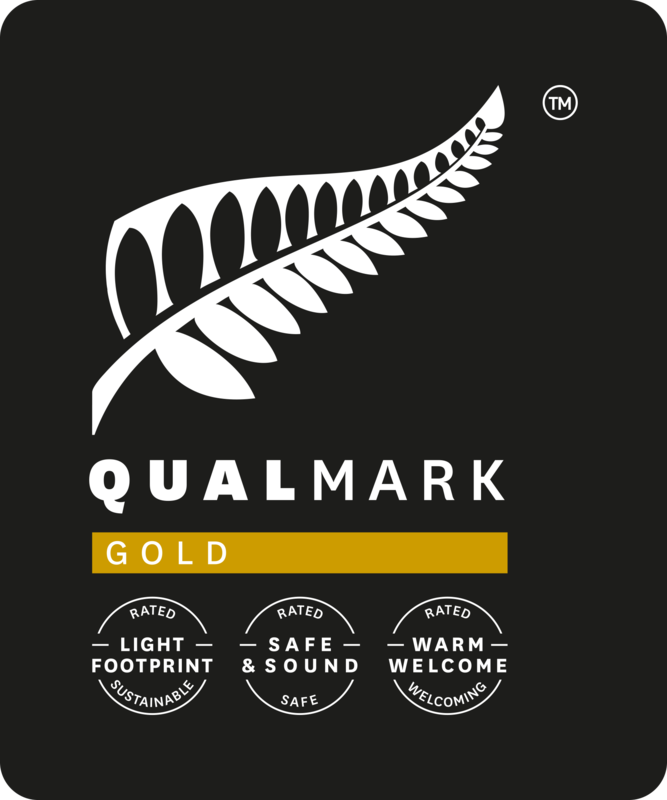 Qualmark is New Zealand tourism’s official quality assurance organisation, which provides a trusted guide to quality travel experiences. Qualmark looks to recognise businesses that are delivering a holistically sustainable experience. Businesses are independently accessed by a tourism expert and awarded a Bronze, Silver or Gold award depending on their performance against the Sustainable Tourism Business criterion. These businesses would have to be proven to deliver a quality sustainable experience, have safe principles and practices, and showcase true New Zealand hospitality. Hamilton Gardens was awarded the prestigious ‘International Garden Tourism Award’ at the International Garden Tourism Network (IGTN) conference in France in October 2014. This annual award is presented to gardens that have distinguished themselves in the development and promotion of the garden experience as a destination tourist attraction. Previous winners have included Singapore Botanic Gardens and the Gardens of Trauttmansdorff Castle in Merano, Italy. Hamilton Gardens claimed the ‘Outstanding Park Award 2016’ at the New Zealand Recreation Association conference held in Queenstown. The judges described Hamilton Gardens as “an eye-catching and fascinating themed garden that has taken this facility from a local asset to both a national and international tourist attraction with positive economic flow-on for the whole community”. Read more. 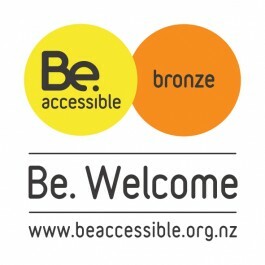 Hamilton Gardens is committed to creating an attraction that supports the Be. Accessible initiative. We have been awarded Bronze status which recognises the efforts we have undertaken to achieve this goal. Please view our Accessibility page for more information. Hamilton Gardens has been awarded the internationally recognised Green Flag Award which sets the benchmark standard for the management of recreational outdoor spaces across the United Kingdom and around the world. For more information on the award visit The Green Flag Award website. Hamilton Gardens is proud to partner with the New Zealand Tourism Sustainability Commitment which aims to see every New Zealand tourism business committed to sustainability by 2025. To deliver on this, we must achieve ambitious economic goals while sharing the overwhelming benefits with supportive host communities, contributing to restoring, protecting and enhancing our natural environment, and continuing to be a high-quality destination of choice for domestic and international travellers. For more information visit the Sustainable Tourism website.